Macedonia’s Deputy Defense Minister makes “Albanian eagle” hand gesture! 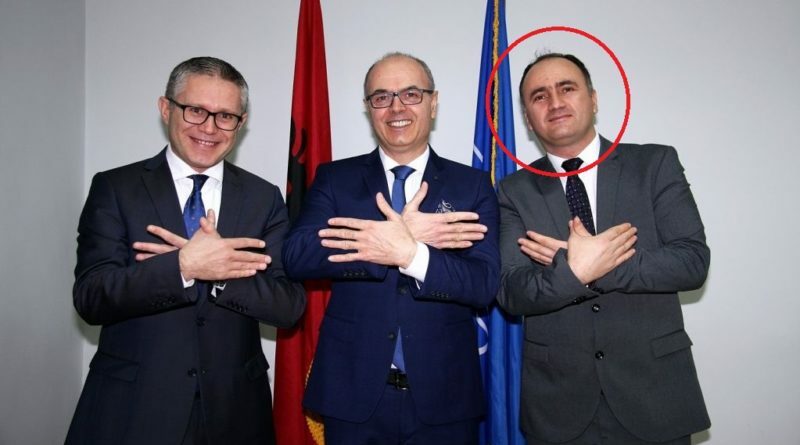 Deputy Defense Minister of the Republic of Macedonia, Bekim Maksuti, who was, reportedly, on an official visit to the Republic of Albania, made an “Albanian eagle” hand gesture. Yesterday in Tirana a meeting was held between deputy defense ministers of Albania, Kosovo and Macedonia. 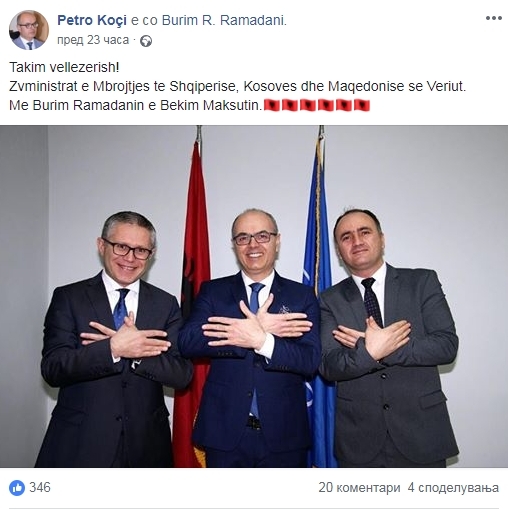 Deputy Defense Minister of Kosovo Burim Ramadani posted on Facebook a photo of them making the “Albanian eagle” hand gesture and with only an Albanian flag on his post he wrote that there was a brotherly meeting between the deputy ministers of Albania, Kosovo and North Macedonia. 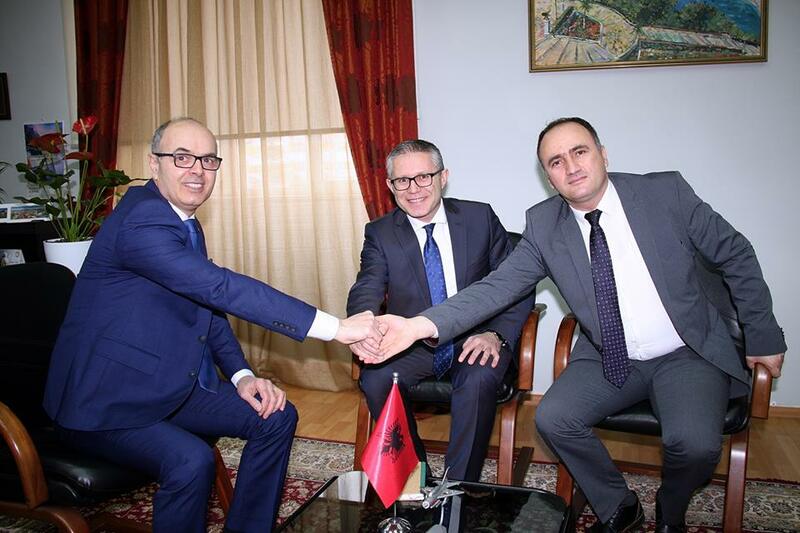 On this official visit to Albania, the Deputy Defense Minister probably went with the money of the Macedonian taxpayers. But it seems that it was not a problem for the deputy minister, as an official representative of Macedonia to promote the symbols of another state. He is not a deputy minister in any ministry, but the ministry of defense, a ministry that needs to take care of the security and territorial integrity of the Republic of Macedonia. So the question arises how will the Deputy Minister of Defense of Macedonia perform his function and take care of the security and territorial integrity of the state in which he enjoys all the privileges, while he publicly and openly promotes the symbols of the so-called “Greater Albania”.